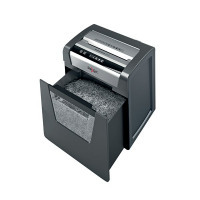 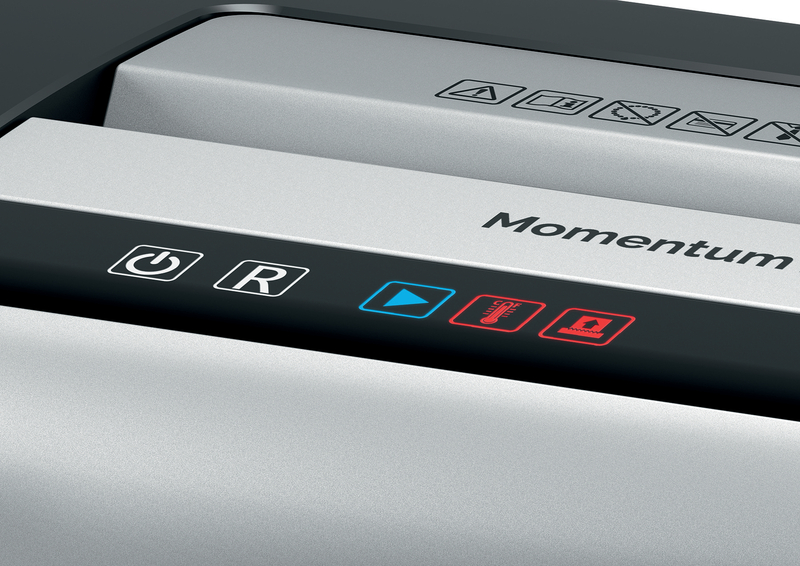 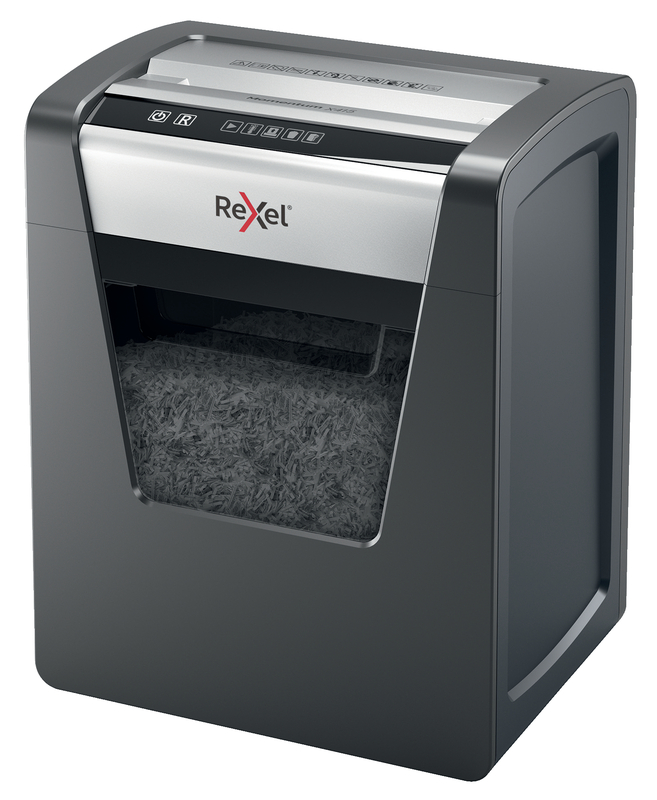 The Rexel Momentum X415 Paper Shredder shreds up to 15 sheets in one go, with a two-hour continuous run time, making it ideal for a small office. 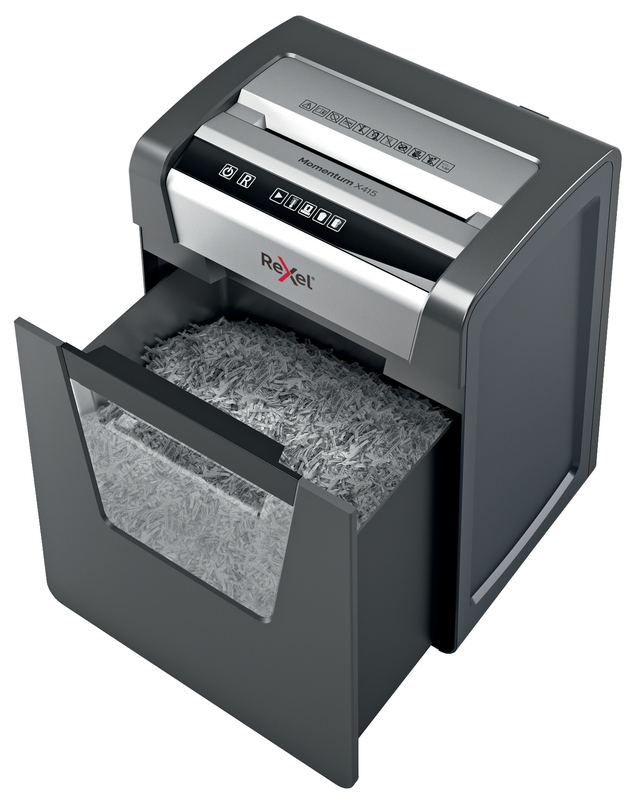 The X415 comes with anti-jam technology for uninterrupted shredding, and is easy to use with intuitive touch control buttons. It shreds to P4 Cross Cut pieces for high security, ideal for confidential information.